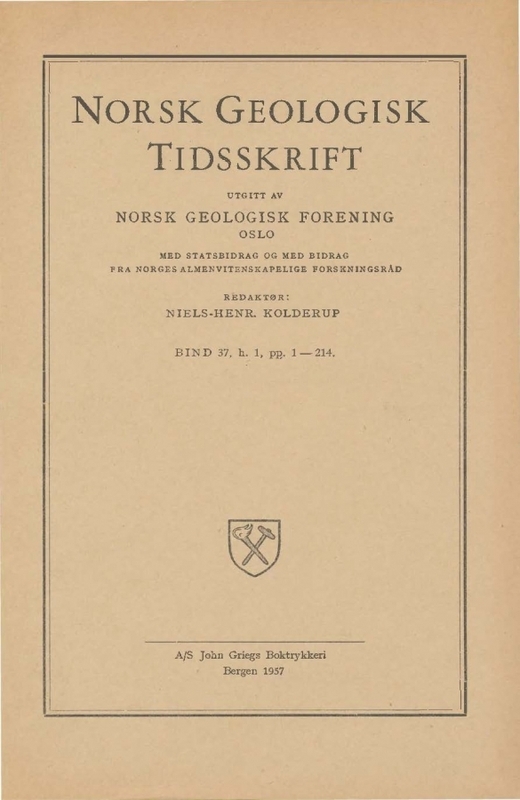 The Middle Ordovician of the Oslo Region, Norway. 8. Brachiopods of the Suborder Strophomenida. 79 Strophomenid brachiopods are described from the Middle Ordovician of the Oslo Region in Norway. They belong to 27 different genera and subgenera. 46 species or subspecies and 6 genera or subgenera are new. The structure of the valves is studied by serial sectioning and the results discussed. Fairly complete ontogenetic series of three species are described. The Middle Ordovician brachiopod fauna is rather different in the areas within the Oslo Region. In the Oslo-Asker and Ringerike districts the fauna is of a British-Irish type, and in the Langesund-Gjerpen, Hadeland and Mjøsa districts it shows Baltic affinities. In the Ringsaker district there are some species of American type.